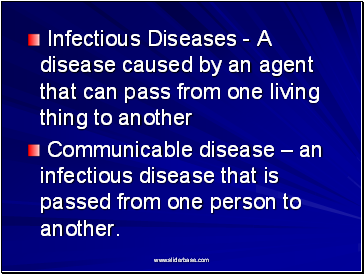 Communicable disease – an infectious disease that is passed from one person to another. 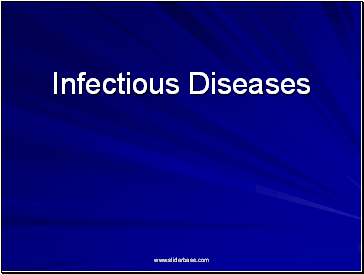 Bacteria - a type of microorganism that can cause disease. 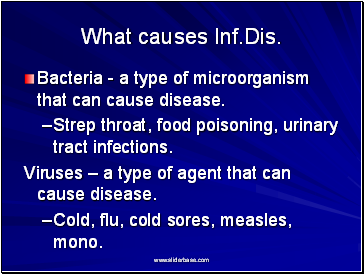 Strep throat, food poisoning, urinary tract infections. 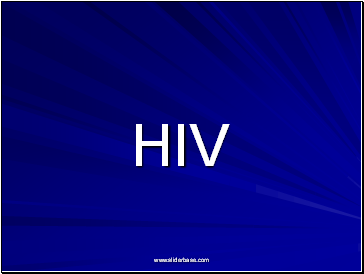 Viruses – a type of agent that can cause disease. 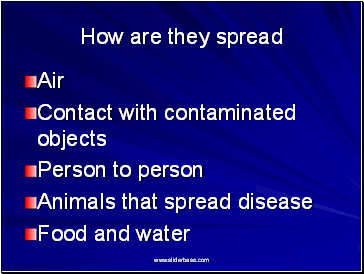 Cold, flu, cold sores, measles, mono. 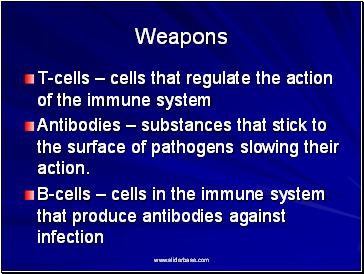 Antibodies – substances that stick to the surface of pathogens slowing their action. 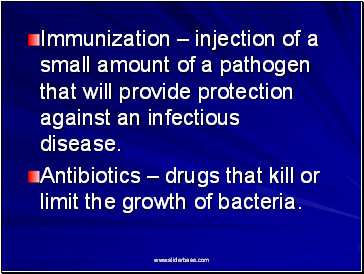 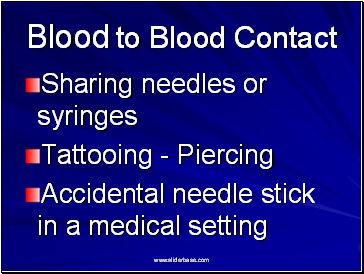 Immunization – injection of a small amount of a pathogen that will provide protection against an infectious disease. 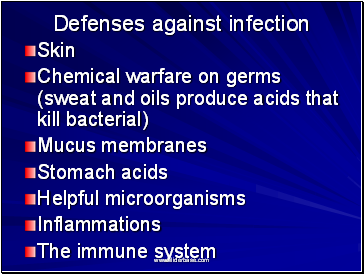 Antibiotics – drugs that kill or limit the growth of bacteria. 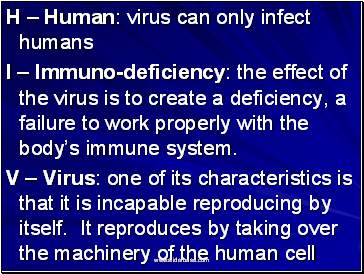 I – Immuno-deficiency: the effect of the virus is to create a deficiency, a failure to work properly with the body’s immune system.